Because of its safety profile, use of Mavenclad is generally recommended for only certain MS patients. 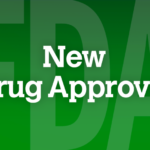 EMD Serono announced that the Food and Drug Administration (FDA) has approved Mavenclad (cladribine) tablets for the treatment of adults with relapsing-remitting multiple sclerosis (RRMS) and active secondary progressive multiple sclerosis (SPMS). This is the first short-course oral treatment approved for RRMS and SPMS. Mavenclad, a cytotoxic drug, is intended for patients who have had an inadequate response to, or are unable to tolerate, an alternate treatment indicated for multiple sclerosis (MS); it is not indicated to treat patients with clinically isolated syndrome. The safety and efficacy of restarting Mavenclad >2 years after completing 2 treatment courses has not been studied. The approval was supported by data from a clinical program involving 1976 patients (9509 patient years) who received the treatment; mean follow-up was about 4.8 years with 24% of the follow-up lasting 8 years. Mavenclad was clinically effective for key measures of disease activity, such as annualized relapse rate (ARR), disability progression and MRI activity. Results showed a 58% relative reduction in ARR with Mavenclad vs placebo (0.14 vs 0.33; P<.001). The majority of patients (81%) were relapse free after 2 years of short-course oral treatment with Mavenclad compared with patients who received placebo (P<.05). In addition, Mavenclad-treated patients experienced a 33% reduction in the risk of 3-month confirmed disability progression as measured by Expanded Disability Status Scale (EDSS)(P<.05), as well as a lower median number of T1-weighted gadolinium-enhanced brain lesions and new or enlarging T2 brain lesions (P<.001) vs patients taking placebo. Mavenclad carries a Boxed Warning describing the risk of malignancy and teratogenicity associated with the product. Upper respiratory tract infection, headache, and lymphopenia were the most common adverse reactions observed with Mavenclad in the phase 3 CLARITY study. Malignancies and herpes zoster infections were among the serious adverse reactions reported in the clinical program. “With short treatment courses with pills taken for no more than 10 days in a year and no injections or infusions, Mavenclad is an efficacious new treatment option for MS,” said Thomas Leist, MD, PhD, Director, Comprehensive Multiple Sclerosis Center at Jefferson University Hospitals, Philadelphia, PA and an investigator in the Mavenclad clinical trial program. Mavenclad will be available as 10mg tablets in 1- or 2-count blister cards. For more information call (800) 283-8088 or visit Mavenclad.com.